Tue., April 18, 2017, 7:53 p.m.
For a little while Friday it appeared a done deal that Marshawn Lynch was on his way to Oakland to return to the NFL for the 2017 season after a year in retirement. Even later Friday, when Lynch himself took to Twitter to refute reports that a contract had been agreed to, it appeared that it was simply a matter of hours, or maybe a day or so, before the deal would be completed. But now it’s four days later and no deal is done, with a report from the NFL Network’s Ian Rapoport on Tuesday indicating that the Raiders have set a deadline of getting a contract signed by the NFL Draft April 27-29, or it might not get done at all. To review the situation, Lynch’s current contract would call for him to make $9 million in 2017. The Raiders are working with Lynch on a renegotiated deal so that he can then be traded from Seattle to Oakland. If Lynch were to instead be released by Seattle and become a free agent, he would owe the Seahawks $2.5 million in bonus money. Lynch wants to be traded so that he doesn’t have to pay that back, while Seattle would also prefer a trade so it can at least get some compensation for him – likely a seventh-round pick at the most. But while Lynch is working on a new contract with Oakland, it’s thought he may still want a salary close to the $9 million he was going to get with the Seahawks. The Raiders, meanwhile, would prefer a much lower base with a contract based heavily on incentives, especially considering Lynch turns 31 on April 22, hasn’t played in a year and played in only seven games, averaging 3.8 yards per carry, in his final season with Seattle in 2015. That this has now dragged on a few days may indicate the two sides are not as close as had been commonly thought. Two other events Tuesday could impact the talks. 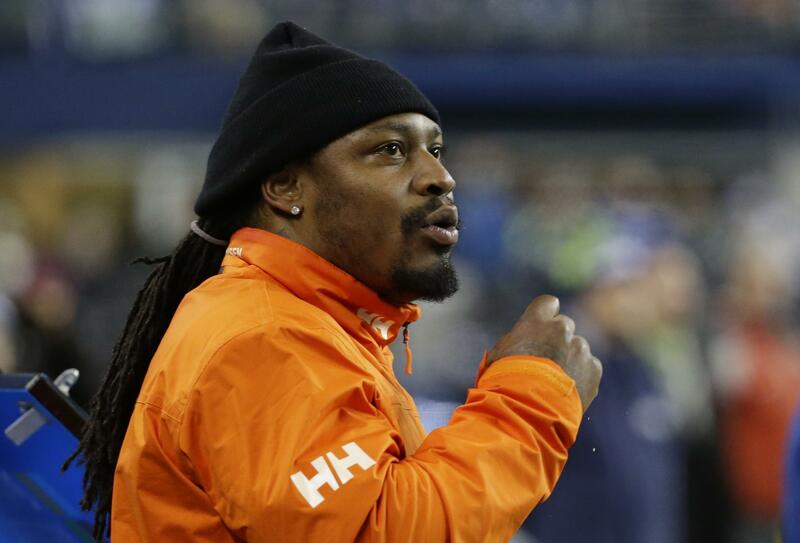 There had been a rumor that the Patriots might be interested in Lynch. If so, though, their needs for a running back may now be filled after signing restricted free agent Mike Gillislee to an offer sheet, a deal that it is not expected Buffalo will match. Not only would that seem to eliminate New England as an option for Lynch but it also could probably means LeGarrette Blount is headed elsewhere – an option himself for the Raiders if they decide to look elsewhere. The Raiders, meanwhile, released defensive tackle Dan Williams, who was due $4.5 million in 2017. That opens up even more cap space for the Raiders to try to fit in Lynch – Oakland now has about $28.7 million in available room. As for the Seahawks, they remain bystanders waiting for Oakland and Lynch to come to a deal. Once/if they do, it is expected a trade can happen quickly and finally put to rest a saga that has taken a lot longer than most anticipated it would. Published: April 18, 2017, 7:53 p.m.